“Strange, isn’t it? Each man’s life touches so many other lives. When he isn’t around he leaves an awful hole, doesn’t he?” New T-shirt added today to the Last Exit to Nowhere range. 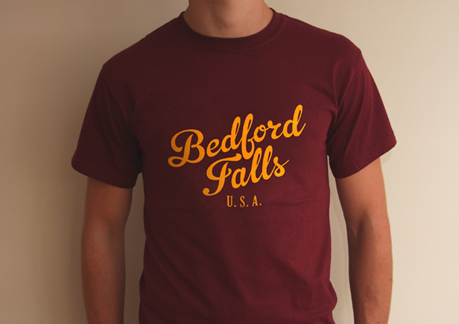 Inspired by the fictional town featured in the classic film It’s a Wonderful Life.